Saint Jean-Baptiste de La Salle (1651-1719) was a priest, educational reformer, and founder of Institute of the Brothers of the Christian Schools. He is a the patron saint of teachers. He is considered the founder of the first Catholic schools. Saint Crescentia Hoess was born in 1682 in a little town near Augsburg, the daughter of a poor weaver. As she grew older she desired to enter the convent of the Tertiaries of St. Francis. Bodily afflictions and pain were always with her. 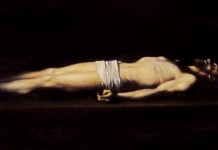 Despite her sufferings she was filled with peace and joy as she died on Easter Sunday in 1744. Saint Benedict the Moor (1526-1589) was born a slave. At 18 he was freed and eventually became superior of a community of hermits at Montepellegrino. Canonized in 1807, he is honored as a patron saint of African-Americans. Saints Agape, Chionia, and Irene where 3 sisters who were martyred under Diocletian in 303 A.D. for violating a decree making it an offense punishable by death to possess any portion of sacred Christian writings and refusing to sacrifice to pagan gods. Saint Francis of Paola (1416-1507) founder of the Order of Minims. The rule of life adopted by Francis and his religious was one of extraordinary severity. They observed perpetual abstinence and lived in great poverty, but the distinguishing mark of the order was humility. They were to seek to live unknown and hidden from the world. To express this character which he would have his disciples cultivate, Francis eventually obtained from the Holy See that they should be styled Minims, the least of all religious. Saint Hugh of Grenoble (1052-1132) served as a bishop in France for 52 years. In conflicts between Church and state he was an unflinching defender of the Church. He fearlessly supported the papacy. St. Hugh may be best known as patron and benefactor of St. Bruno, founder of the Carthusian Order.